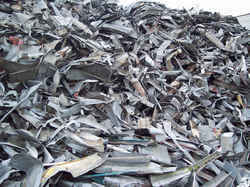 Our array of non ferrous aluminum scrap is high in demand. Our range includes Twang, Telic, Talon, and UBC aluminum scrap. Sourced from reliable manufacturers these scraps are widely used for light weight, anti corrosion and optimum utility. Our Talon scrap comprises unalloyed and clean aluminum cables or wires while the Telic consist of aluminum borings and turnings free from oil and iron. Our Twang scrap is sold on metal recovery percentage basis and consists of aluminum wire scrap with insulation. We are leading exporters of brass scrap such as labels, pales, honey, night and ebony. Our range is sourced from reliable vendor base to ensure optimum quality during usage. We take utmost care to ensure these scraps have negligible impurities/attachments. These contain varied proportion of zinc to copper depending upon the type of scrap required by the client. 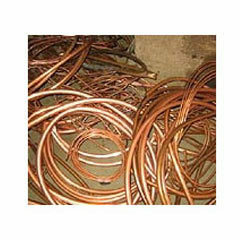 We are a reputed supplier, engaged in offering qualitative non-ferrous copper scrap across various industries. Procured from trusted vendors, our scraps include Birch, Candy and berry. Along with this we even provide copper alloy scraps that are widely used for corrosion resistance and enhanced durability. Our finest quality array of bronze scrap such as Bronze honey and Mixed Brass is sourced from reliable manufacturers across the world. We take utmost care to ensure the scrap material is carefully examined upon receipt to ensure these are free from impurities. 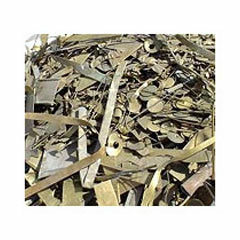 Our bronze scrap contains bronze solids, assorted clean brass and expended brass shells. The brass shells can be safely deformed in distinct specifications as per the requirement.